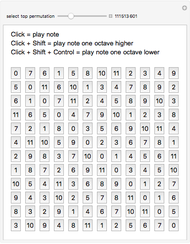 This Demonstration generates a playable Schoenberg matrix from a tone row. 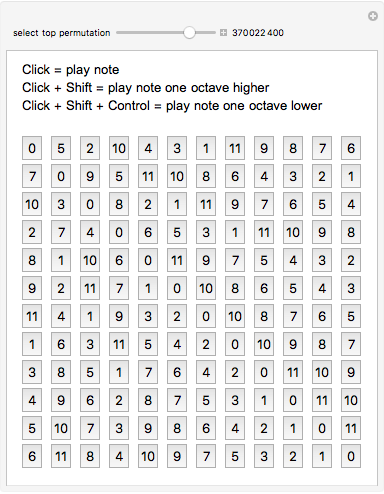 Permute the top numbers as desired, but 0 is always first. 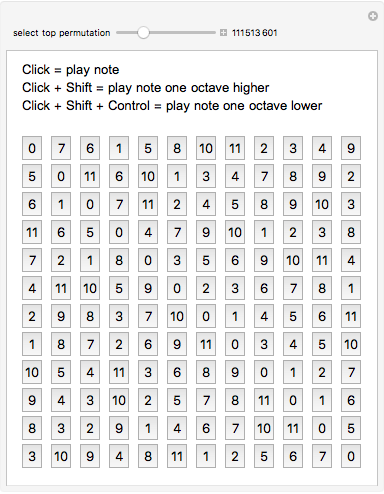 Click a button in the matrix to play that note. 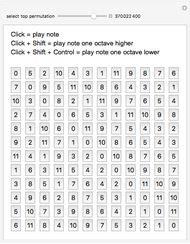 Hold Shift while clicking to raise a note an octave. 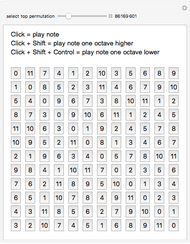 Hold Shift and Control at the same time while clicking to lower it an octave. 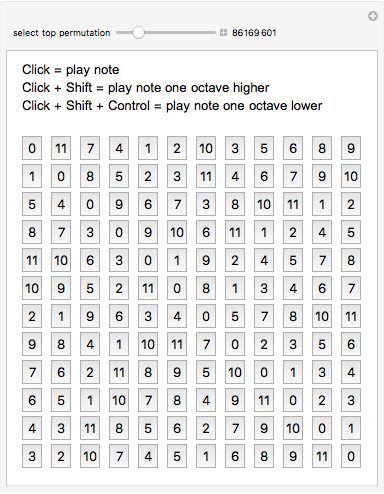 Each of the 12 tones must be played before a tone is repeated. Eric Duran "Schoenberg Matrix Player"